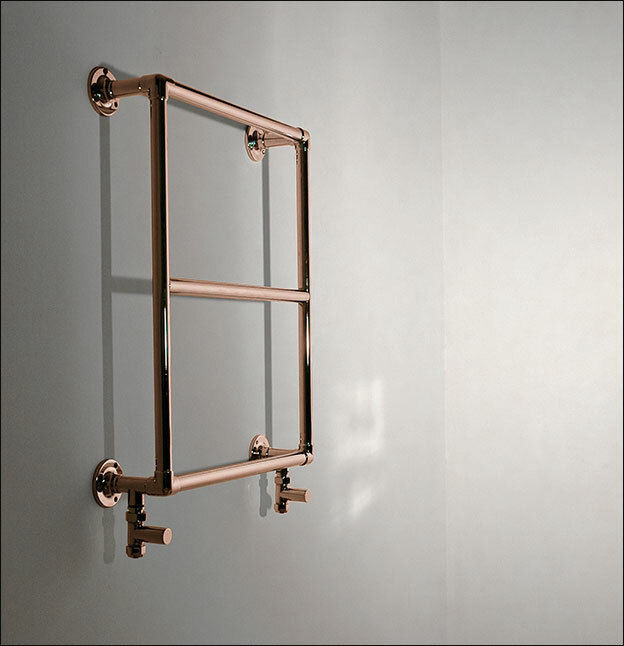 This copper towel rail has a simple, classical style that fits well with both traditional and modern bathrooms. 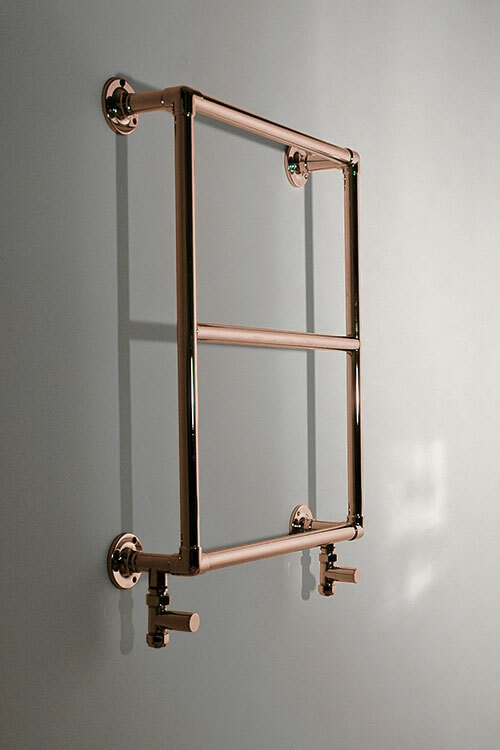 Each copper plated towel warmer has ample space between the bars for easy hanging and quick drying of towels. 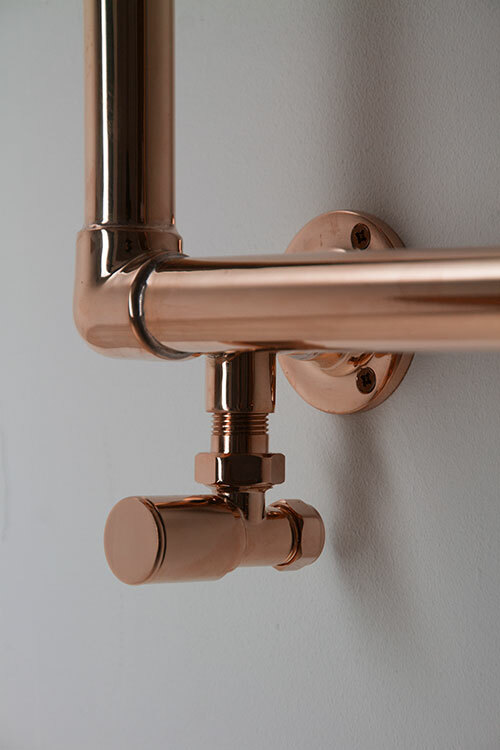 Available as central heated, electric-only or dual fuel options. 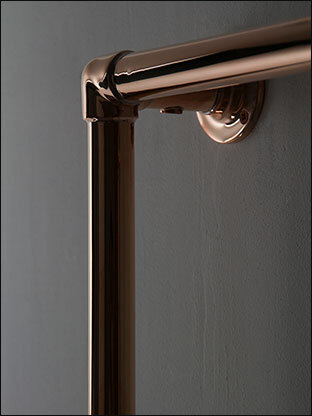 This radiator is copper plated to special order. 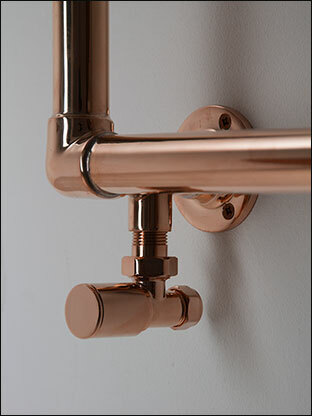 • Central heating, electric or dual fuel formats. 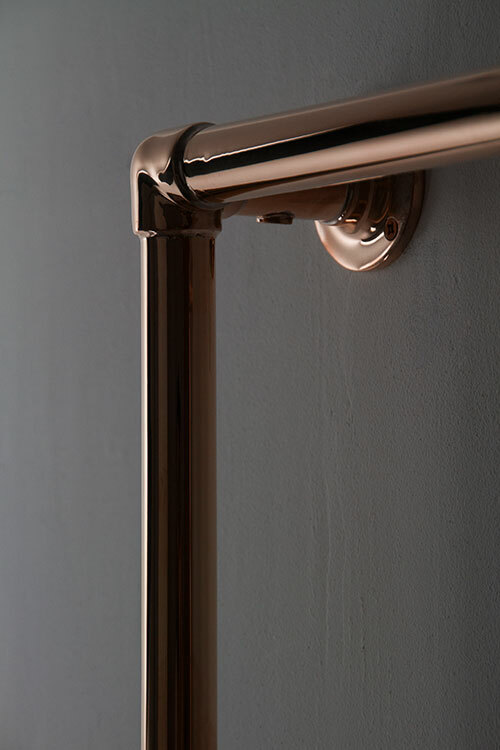 • Copper plated to special order.